On February 23, 1954, a group of children in Pittsburgh, Pennsylvania helped make history by being the first inoculated with the polio vaccine developed by Dr. Jonas Salk. The children were first, second, and third grade students attending local public and parochial schools. In the 1950s, Poliomyelitis was still an extremely contagious disease. 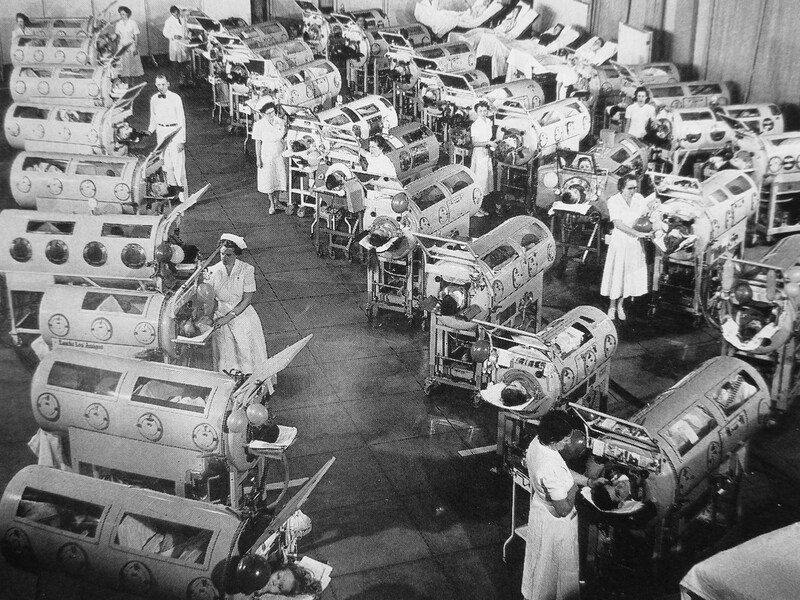 Even though its effects, in the general case, were not as devastating as influenza, outbreaks of polio were seemingly impossible to contain when they did occur. Striking mostly children, the disease attacked the nerve cells and sometimes the central nervous system, which led to muscle deterioration, paralysis, and in some cases, death. The most famous polio victim was President Franklin Delano Roosevelt, whose legs were left permanently paralyzed after he contracted the disease during an outbreak in 1921. With President Roosevelt’s help, a grassroots organization was formed in the 1940s to find a cure for polio. The group, called the National Foundation on Infantile Paralysis (later the March of Dimes), enlisted Dr. Jonas Salk from the University of Pittsburgh to head up their team. During his research, Salk discovered that the polio virus had at least 125 strains of three different types. For a vaccination to be effective, it had to kill all three. Salk grew different samples of the virus and then killed, or deactivated it, which meant patients could be immunized without actually being infected. Salk famously refused to patent the polio vaccine, telling Edward R. Murrow during a television interview, “Would you patent the Sun?” There are two schools of thought on what Salk meant by this remark. Most believe Dr. Salk saw sharing medical advances of that caliber as a moral imperative. However, there’s a more recent theory that Salk could afford to be magnanimous because he knew if he applied for a patent, he wouldn’t get one anyway. Whatever Dr. Salk’s motivations were, it changed millions of lives. And it is. For reference, in 1952, approximately 60,000 new cases of polio were seen in the U.S. alone, killing over three thousand and leaving about twenty one thousand more disabled that year. In 1988, there were only about 350,000 cases of polio worldwide, largely in undeveloped countries. That same year, the WHO, UNICEF, and The Rotary Foundation set out to eradicate this disease that has plagued mankind since prehistory. In 2012, thanks to these efforts centered around polio vaccines being more widely administered, the number of cases fell to just 223, primarily in Nigeria, Pakistan, and Afghanistan. 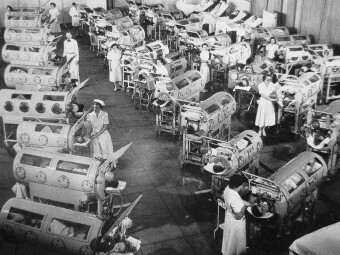 It is hoped within the next decade polio will go the way of smallpox and exist only in laboratories. (1) Remove unnecessary words. Here, the third-last word (“up”) is unnessary. A person can “head” a team. At least in formal writing (if not in ALL writing and even in spoken English), the strange expression, “to head up,” should be eliminated. (2) Avoid being redundant. The error is not so obvious here, because the redundance — the use of both “group” and “team” — occurs at the extremes of the sentence.